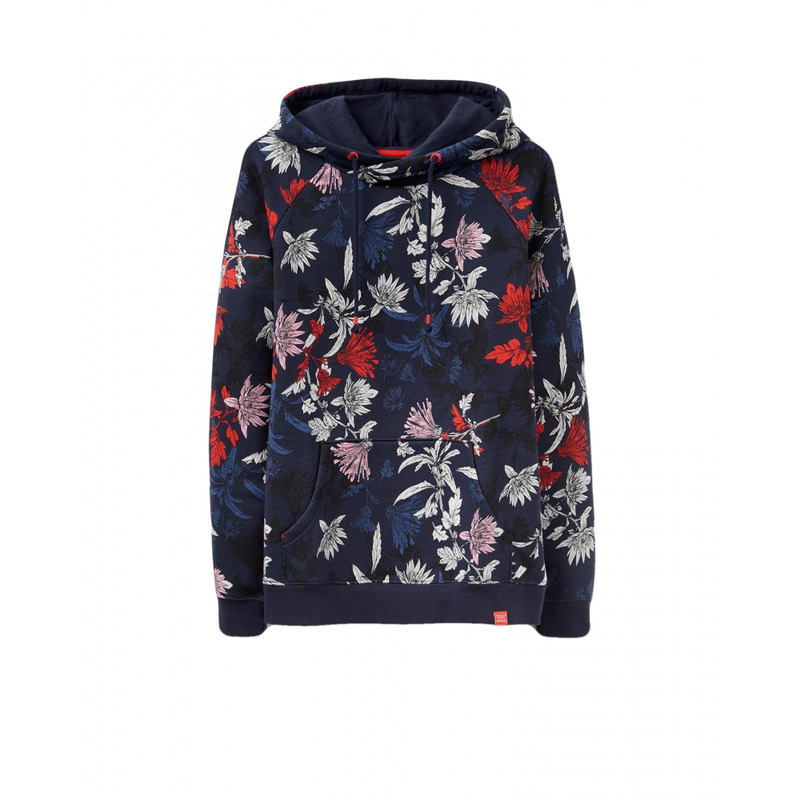 Joules Marlow Womens Cosy Hooded Sweatshirt - French Navy Fay Floral. This ladies hooded sweatshirt features a kangaroo pocket and is designed with a relaxed fit. Other features include drawcords to the hood and ribbed cuffs and hem. Made from 70% Cotton 30% Polyester and machine washable.